Aren't kids funny? We have this old washcloth that has been through the washer one too many times. It's just not even usable for wiping post-lunch faces anymore, but I hung onto it anyway, because you never know when you will need a rag that you can use and throwaway without remorse. I mean, I have kids. Poop will show up on something in the near future and need to be wiped up. Instead, Ellie found it and decided that it was custom made for her! 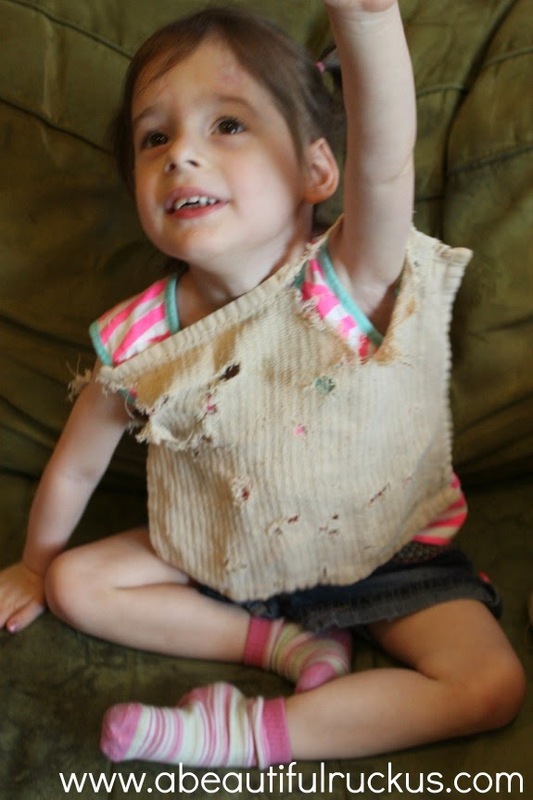 Her tiny little arms turned two rips into armholes, so she wore it around the house like a shirt for awhile. Uh....not quite what I had in mind when I saved it...but at least I know it was clean! We have been spending as much time with Sean's grandma as possible over the last week. She is SUCH an incredible woman! 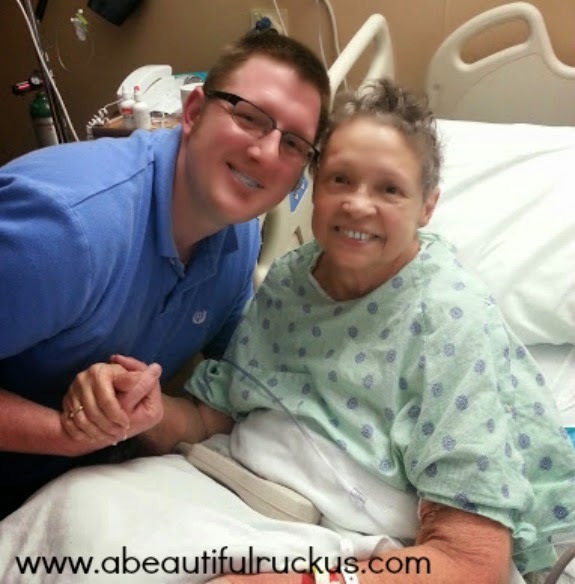 In spite of losing her battle with leukemia, she is all smiles, still telling stories about growing up in Kansas, the adventures she went on as a military wife raising three daughters overseas, and talking about how much she is looking forward to seeing Jesus. I am just in awe of her beauty (inside and out! ), wisdom, and joy! We are hoping to get back over to see her again this week to soak up some more time with her. Also, I just love the photo of Sean and his grandma that I snapped! 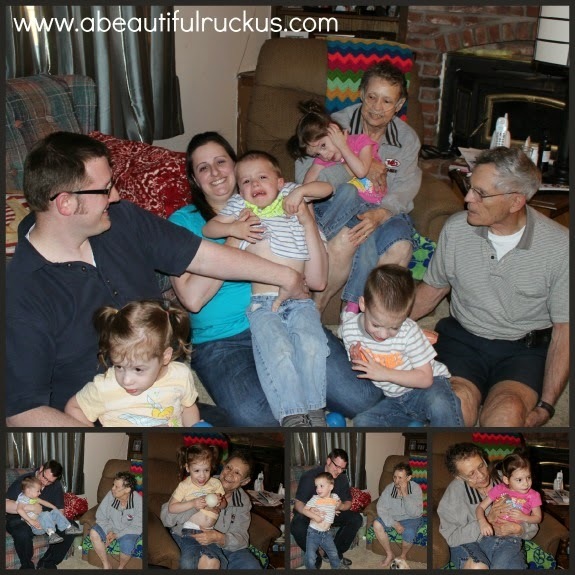 Bottom row of photos: Caleb, Abby, Elijah, and Ellie...each with their great-grandma! So this just randomly showed up on my doorstep this week. Have you heard of Klout? It basically a website that measures your social media influence. You don't have to be a blogger to use it. 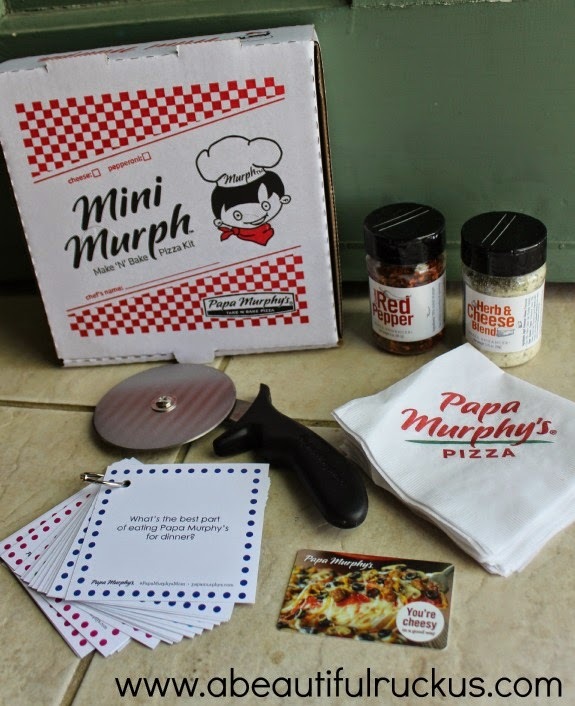 Occasionally, they will offer something called "Klout Perks." A couple of weeks ago, they offered a perk for a three month subscription to People Magazine. Okay, cool. I'm game. And then a couple of days ago, this box full of People Magazine's Editor's Top Picks showed up! How fun is that?! 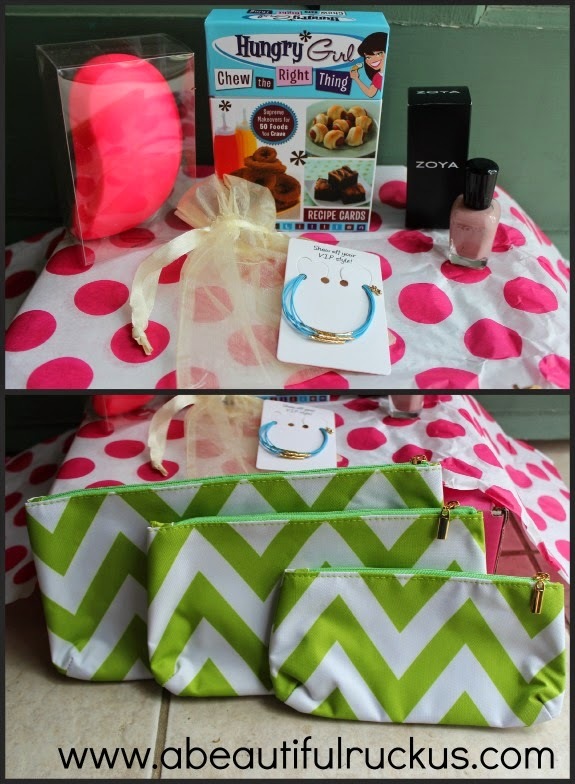 Hungry Girl recipe cards, a new bracelet, a really pretty bottle of nail polish, an interesting looking comb/brush/detangler thingy that I haven't tried yet, and fun chevron print makeup bags. In my opinion, this is way better than a magazine subscription (I don't have a lot of time to read anyway)! Also, if you try to text "Happy Chappy," it will auto correct to "Happy Crappy." 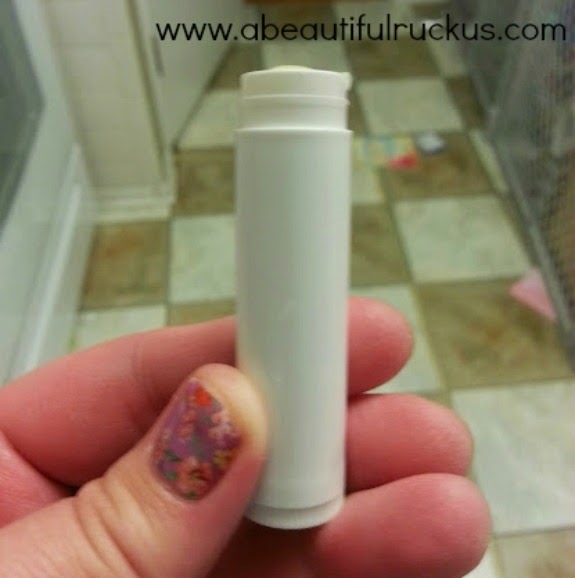 If you've had a good poop recently, more power to you, but if you are talking about chapstick, you might want to double check before hitting send. I'm just saying. Have you recorded Grandparent stories in a book or something? We gave out books that have short sections to be filled out by each grandparent so these reflections from their childhood could be saved. We also learned so much about our own parents and grandparents as the "questions" prompted new stories they had never told before. Such a treasure as each passes beyond our ability to hear from again on this side.